Shadow (formerly Marbles) was returned to us after she didn’t get along with the new cat the family brought home. 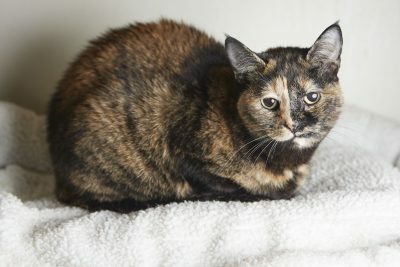 This gorgeous torbie is looking for quiet home with a single person or couple, and she is not looking to share the spotlight with another feline. 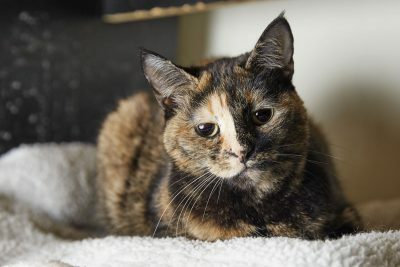 Shadow has lots of energy and she likes to chat, so she would love to find a home with a person that enjoys a good conversation and has lots of time to play with her. 2018-06-02: Lucky Shadow found her second chance at a forever home today!